For the hosts, it put on last Tuesday evening a painful defeat at AC Milan. Napoli were beaten 2-0 to miss the semi-finals of Coppa Italia. Here, the Ancelotti-Elf failed mainly due to their own lack of chance and less to the opponent. At home, the sky blue are still unbeaten so far. The guests of the U.C. Sampdoria Genoa are again in 6th place, which is why they are in the race for places for the Europa League. In addition, the club has a powerful offensive this season, which hit as often as Napoli with 39 hits. Especially the veteran Fabio Quagliarella wants to know it again: With 16 goals, he is currently leading the scoring in the Serie A and on the last two match days, he laced a double each. Nevertheless, the runner-up in Napoli against Sampdoria is the clear favorite from the perspective of the odds on the victory. Our recommendation for the game, however, is less the question of who wins, but rather the statement that both teams score. The Azzurri have to lick their wounds a bit in the coming match. Despite nine direct shots, the ball just did not want to score in the goal on the last Tuesday. Instead, AC Milan only needed three attempts on the box from Napoli to score twice and reach the semi-finals of Coppa Italia. It was a very bitter evening for Naples. In the Serie A, the two-time champion currently occupies the second place and it seems that the runner-up from the previous year is repeated. After all, the lead on Inter Milan, which occupies the third place, already eight points. At the same time, Juve is far behind with 11 points, which is why Napoli are in a solitary position. In the match against Genoa, the SSC can now but especially on its home strength set. Naples are still unbeaten after eleven home games and have already recorded nine wins. An impressive yield, which results from a strong offensive and solid defense. The attack scores the second most goals in front of home crowd (25) and the defense has the third best home score with just seven goals conceded. Naples have won their last six home games in all competitions. The defensive has diminished but in the recent past about. Thus, three of the total of only seven goals conceded at the Stadio San Paolo in the last two home games against Lazio Rom (2: 1) and FC Bologna (3: 2) conceded. Also, the 0-2 draw at AC Milan this week shows that the defensive at the moment a little less than in the weeks before at work. 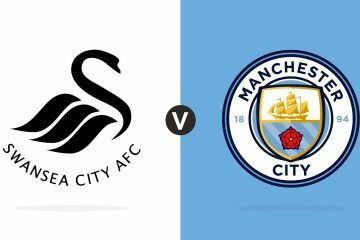 The use of the Slovakian Marek Hamšík remains questionable, who only took on the bench in the last two competitive matches and whose thigh injury apparently has not yet completely cured. The Spaniard Fabian Ruiz will definitely not play in the midfield, who took on a yellow-red card in stoppage time during the last game of the 0-0 draw at AC Milan. The champion of 1991 can be very satisfied with the season so far. The Genoese occupy sixth place and should this placement be held until the end of the season, it would be the best result since the relegation in 2012. In the last two years, it was only enough for tenth place in the final billing. The four-time Cup winners are currently benefiting from his highly accurate offensive department: 39 goals have already been produced – a value only surpassed by AS Roma, Atalanta Bergamo and table top Juve. The match could even be a historical one in this context. If the striker Fabio Quagliarella meet again, he would break the record of Gabriel Batistuta from the season 1994/95 for the longest torso in the Italian House of Lords. So far, the 35-year-old Oldie has always met at least once in the last eleven matchdays and with 16 goals he is the best clippers in the Serie A. How well the offensive works, was also on the last day of play again, as the winner of the European Cup Cup winner 1990 the kicker of Udinese Calcio with 4-0 on the journey home sent. In the last five games alone, the Blucerchiati have scored 14 goals. A value that topped only Atalanta Bergamo with 17 hits. Coach Marco Giampaolo will be able to call on Gaston Ramirez in midfield again in the next match, as the Uruguayan has served his card suspension. However, Gianluca Caprari is out of action, and is unlikely to return to Samp’s squad this season due to a broken leg. The game in the first round ended with such a surprising as clear 3: 0 success of Genoa. For Napoli ended an extremely long series of 14 games without defeat, with no fewer than eleven wins were retracted. Eight wins and two draws from the last ten home games in turn speak a clear language in favor of the hosts. Not surprisingly, Napoli versus Sampdoria are again regarded as the clear favorites in odds for a tip. Napoli is after Juve, as in the past season, the second strongest team, although it just probably not enough for the championship again. Especially at home, the southern Italians are very strong, read on so far 11 home games without defeat and already 25 goals – second best value to AS Roma. However, the club received a cup defeat at AC Milan last Tuesday, which is why this competition is now over for Napoli. The two goals have also shown that the defense is currently not quite as stable as before. A judgment that also formed the recent two home games in Serie A, in which Napoli conceded three goals, after three clean sheets were scored in succession. With Genoa now comes a team to visit, which has a very good offensive. Sampdoria has the third best away win and has Fabio Quagliarella, the current Serie A top scorer in their ranks. The striker will be extra motivated in the match, as he would set a new record for the number of consecutive match days with a goal, which has been held by Gabriel Batistuta for over 20 years. In Napoli vs Sampdoria the tip is therefore a goal on both sides. 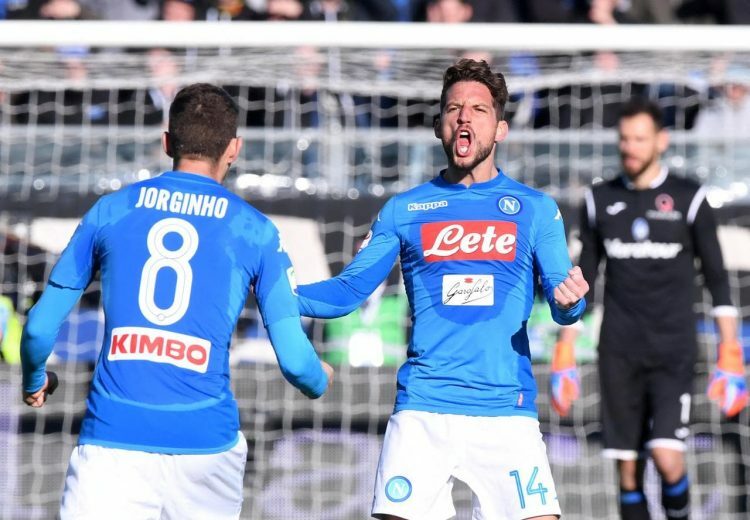 Thus, eight out of the last ten matches ended with a mutual goal and in the last four home games of Napoli vs Sampdoria the prediction and the tip would also have been crowned with success.